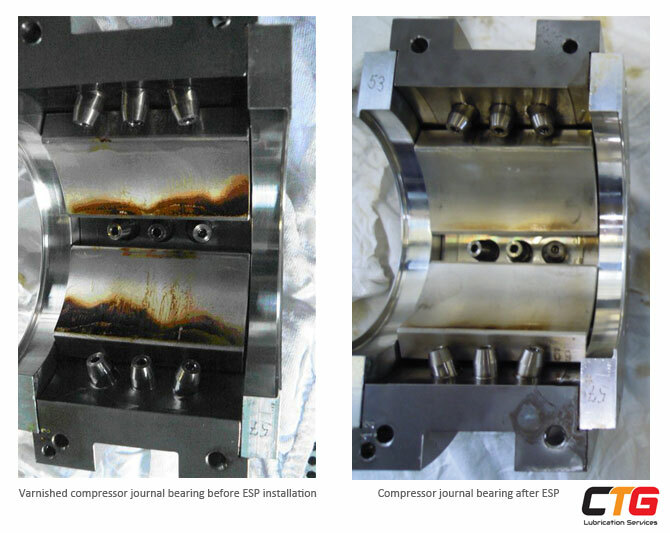 An operational co-compressor with 1600 litre capacity reported varnish on the titled-pad bearing and the gear system during maintenance. 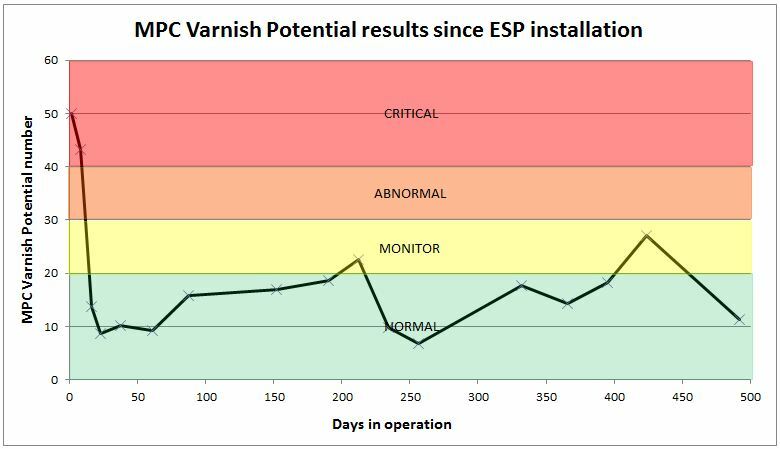 The chart below shows MPC (varnish potential) test results over a period of 500 days following ESP installation. 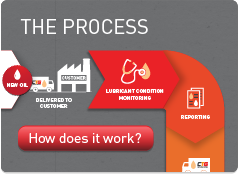 Over the same 500 day period following ESP installation, antioxidant oil additive (Amine) oil analysis was conducted by RULER to determine the oils remaining useful life. It can be seen that while ESP filters out the varnish causing contaminants (rapid drop in MPC value), oil additives are not removed. 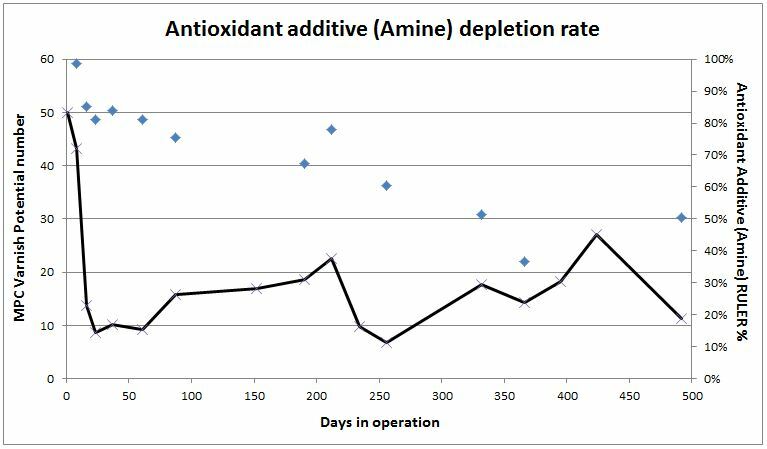 Amine additives deplete at a steady rate as would be expected under normal operation as they are consumed when combating oxidation. After 354 days, two drums of new oil were added to the compressor which increased the remaining useful life of the oil (RULER %).